Well, the full title is actually “setting up a blog using WordPress, your own domain name and hosting”! Working with a few good business people this past couple of weeks has inspired me to create some step-by-step notes on how to set up and create a blog. Now for this I suggest WordPress, your own domain name, and your own hosting. These notes are for those of you with no hosting in place and no software already set up. If you have these already, I suggest you work with that and then follow the notes provided by WordPress – they are very good and easy to follow. Why do I recommend using WordPress? It’s simple, straightforward, there are plenty of excellent design themes and useful plugins being added all the time. Now this is something you can spend more money on that perhaps you need to. Choose a simple name that feels right and that will be easy to say to people. Do not choose a name purely for SEO (search engine optimisation) purposes – i.e. cramming in your keywords – any benefit from such is minimal – trust me. If a good name that has your keywords in it will work and is available, great, but if not – don’t worry about it – get a name that makes sense, is as short as it can be, does not have a competing similar domain. Use your common sense, basically! You do not need to register every possible option for your name – i.e. the .com, the .co.uk, the .net, the .biz and then the same but with hyphens in the actual domain part. Unless you have a spare £100 or so to splash about for no reason, that is – and know that you’ll have the same spare cash in two years’ time when it’s time to renew (yes you can choose not to renew, but it’s too easy to forget to cancel!). To register domains I use www.ukreg.com – reasonable pricing and they don’t charge to transfer away if you ever want to. Now – when you register your domain, you so also need to consider where the blog will be hosted, so please read the next step before .UKREG do offer this through their sister company, Fasthosts. I prefer not use Fasthosts, however that would work fine for you if you just want one home for both the domain and the hosting. You may already have something in mind and know all you need to know – in which case, brilliant – go for it. If not, and if you’ve not simply signed up with Fasthosts, then I suggest you go to www.unitedhosting.co.uk and sign up for their basic package at £5/month. Their customer service is brilliant. I use them for More Business Websites clients if they don’t want content management systems and lots of extras. The hosting is where your blog will “live” and you need to tell the domain at UKREG/Fasthosts where this is. You do that by specifying the name servers. Your host will give you this information and it will look something like ns1.xssl.gosling.net. You tell UKREG this information in the domain registration settings, “hosting nameservers” link. You need to log in to your domain’s site administrator control panel and set up the necessary database. Go into the MySQL Management option and Create New Database. Add to the database name – I tend to use “blog” unless otherwise inspired – so then you end up with a full database name of something like mydomain_com_blog. And Save, making a note of the full database name. You then need to set the MySQL password – so go to Change MySQL Password and set that – even if it has some asterisks in there, suggesting the password is already set – it’s not! While in that control panel you’d may as well set up an email address, if you want one. Go to http://wordpress.org/ and Download the latest version of WordPress to your computer. I’ll work on the assumption that you do not have any kind of html editor (such as Dreamweaver) – so we’ll use WordPad or your computer’s equivalent – most people have that basic text editor and it’ll do what we need. Usernamehere with your database username – this will be the same as for your domain’s hosting control panel, unless you changed it! Save the file as wp-config.php and then close. That all tells WordPress how to access the database, which is where your blogs and user information will be stored. Now we need to put your blog onto the Internet. Wordpress have previously offered to do this for free here – but at time of writing they’d had to stop due to demand. For this we need a FTP client (hang in there – you can do this just fine and do not need to transform into a geek!) and I suggest something like FireFTP if you use the Firefox browser. You will have an area of your FTP Client for the Local Site – in that area you want to find the directory with the downloaded WordPress. Open that directory until you can see the wordpress directory and files within it in the box below. In the box (usually) immediately to the right of that, click into the mainwebsite_html directory so that it opens. You will see a file in there called index.html – that’s the holding file for your domain. What you need to do next is upload everything within the wordpress directory on your computer onto your hosting/server (basically, from the left box into the right box). So highlight all the files and the 3 directories (wp-admin, wp-content and wp-includes) then hold them with your left mouse button and drop them into the same place as the index.html file on the right. You may prefer to do this one directory at a time, and then the other files. What now happens is that all of the files are copied onto the server and into your domain. When done (and it will take a few minutes – you’ll see the activity) – you can delete the index.html file and the wp-config-sample.php file in the server box – that right-hand one. Go to www.yourdomain.com. There you will get a WordPress welcome page and be asked for the Blog Title and your E-mail address. Also deselect the “Allow my blog to appear in search engines…” if you don’t want that. You will be given the login username of admin and a password. Make a note of that (and Ctrl-C to copy that password – you’ll be using it in just a mo). This is also emailed to you – file that email away somewhere safe, just in case. Now to login, and away you go! I suggest you set up an extra user (or more if you have need) with admin rights – you never know when this will be useful, and you may prefer your blog entries to be by someone other than “admin”. If you want to use a different design theme for your blog, there are many websites offering these for free. Do watch out for discreet, or even hidden, links that you may not want from your blog. A reliable source is http://wordpress.org/extend/themes/ – or do a search for “wordpress themes” – you could spend all day looking… And of course you can download/unzip/upload as many as you like. When you choose one, download the zip file. Unzip this file and extract into your wordpress directory/wordpress/wp-content/themes – this will place the files where you need them. And then you need to upload those using your FTP Client into the same directory. When you’ve done that you can see your chosen theme available in your blog’s admin area – in the Design tab. For plug-ins – firstly set up the Akismet spam blocker that is provided as standard – this will be necessary and save you a heap of time! To activate this fully you need a WordPress API key – but that simply means you need a WordPress account from http://wordpress.com/ – register there for a username and then retrieve you allocated API key from My Account, Edit Profile. Copy this (Ctrl-C) and then go to your blog’s control panel to activate the Akismet. There are many useful plugins for many different things you might want to do – visitor stats, sitemap generators, backups, seo, galleries, contact forms, polls – all sorts of things. Have a good browse here, and pop back regularly to see the latest new offerings. Do also read the reviews and feedback on these – useful to be aware of others’ experience of installing the plugins. OK – as requested, the above all in one neat 5 page pdf file – setting up a blog with WordPress for you. Do let me know if I’ve missed anything, or if something is not clear – really, I’d like these notes to be as helpful as they can be for you. Also – what more do you want to know? 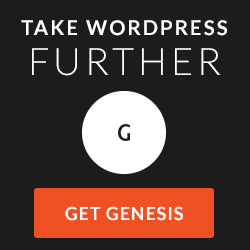 Great article and ideal for anyone wanting to set up a WordPress blog. Only think I would add is just because you are in the UK, don’t tie yourself to UK or EU based domain registrars. Even with the dollar weakening against the pound, there are some great deals to be had in the US. I won’t mention them here, but I never pay more than £5 for most domain registrations. Far too many UK registrars give you a cheap introductory price and then sting you on the renewals. And with most of the world on Broadband speeds these days, no need to go with a host in the UK or Europe either. There are much better hosting packages available in the US (with 24/7 support, so no problem there either). And cheers for the 2009 (C) reminder. The reason you ALWAYS search for at least one keyword to include in your domain is simple. Don’t take this as a critisizim but you are overlooking the power of the keyword in the domain and the ability of the keyword to drive traffic to your site. So if you choose not to register a domain with a keyword you loose the built in benefit of the automatic anchor text.